1 GHz analysis bandwidth, continuous real-time measurement, 16k channels. Continuously processes the input signal in real-time and accumulates the results to eliminate any time gaps in measurements. Analyzes signal inputs from DC to 1 GHz. 16,384 output channels at a frequency spacing of 61 kHz. Polyphase FFT filter bank improves sensitivity by reducing frequency scallop and spectral leakage. Greater than 9 effective bits, 57 dB signal-to-noise ratio and 64 dBc spurious-free dynamic range @ 410 MHz. 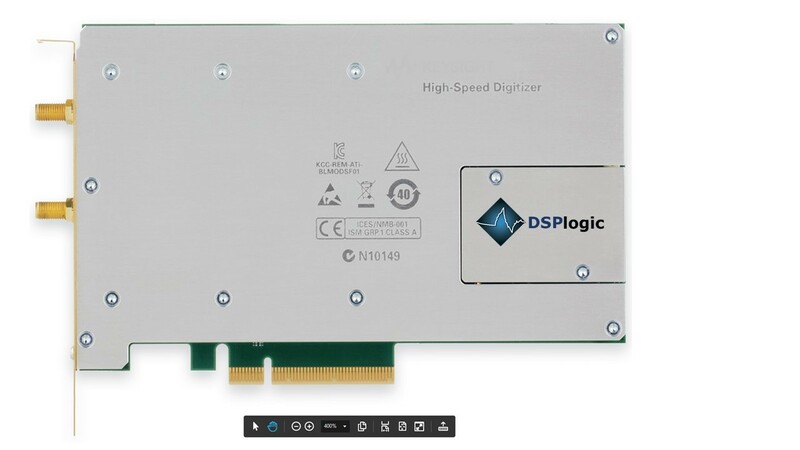 PCI Express 2.0, Single x8 slot.